Classic Army is one of the top leading manufacturer of Airsoft products, setting the standards for the entire industry to follow suit. 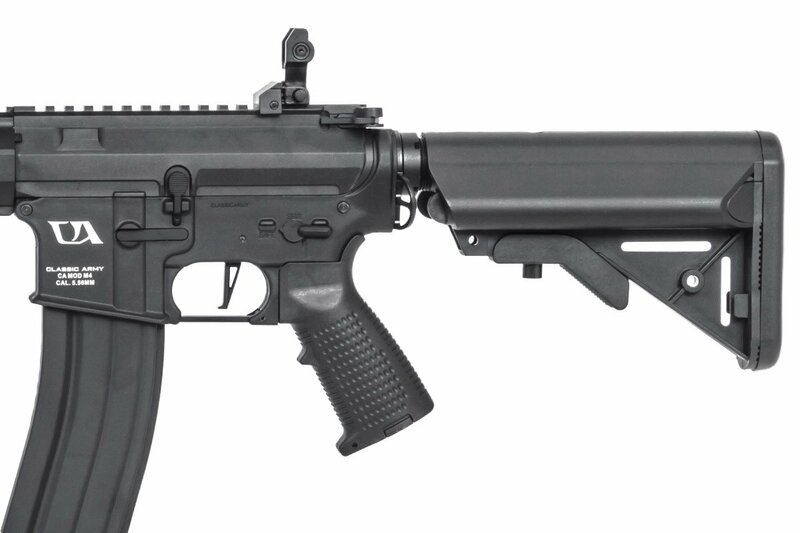 Classic Army produced the first full metal production M4 and MP5 AEGs, built the first glass-filled nylon fiber AEG in their G36s, and the first to introduce a high-end SCAR AEG. 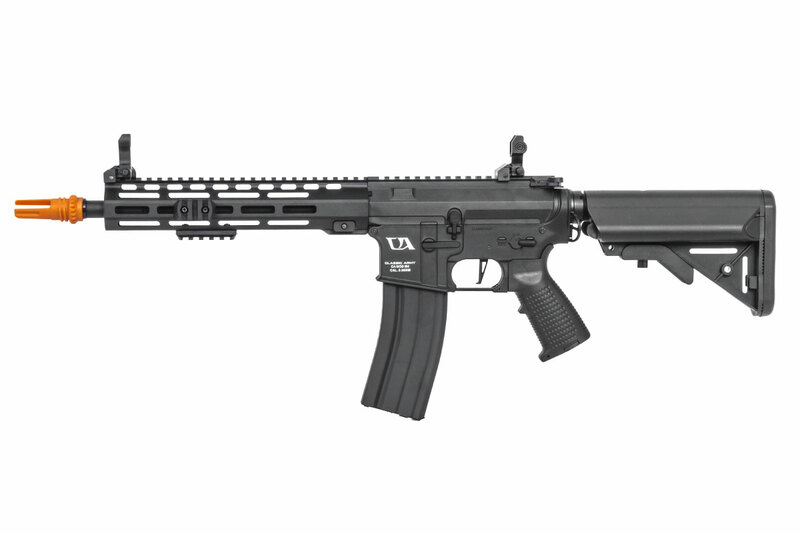 Since inception, Classic Army has been an innovator in design and production of Airsoft guns for the those beginning to play, and those who are veterans of the sport, offering a wide selection of products to suit their customers' tastes and needs. Through their years of experience and knowledge, Classic Army has developed their creed of Total Performance. 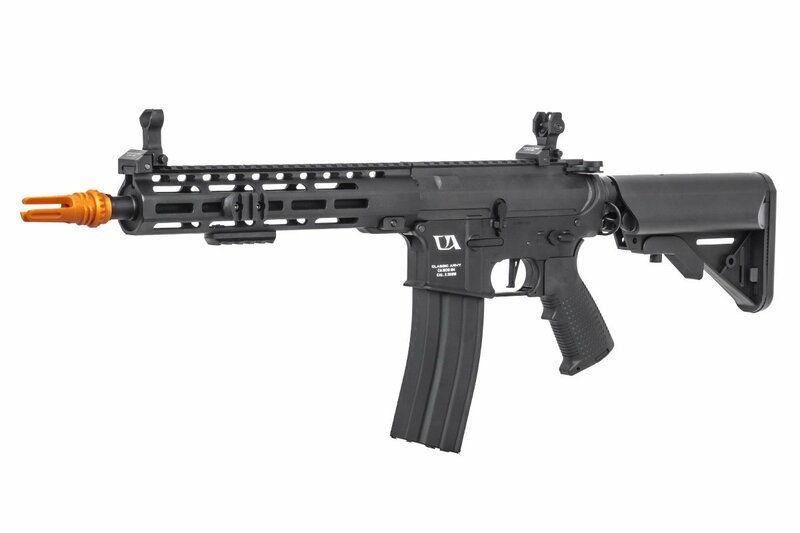 The Classic Army CA4 ML10 M-LOK Skirmish Carbine is one of many Classic Army entry level rifles. Utilizing Classic Army's nylon fiber reinforced polymer allows for a lighter weight platform while ensuring extreme durability in a cost efficient package. The CA4 ML10 features a high rate of fire along, and paired with a 300rd high capacity magazine, allowing devastating firepower to your enemies, leaving them cowering away in cover. 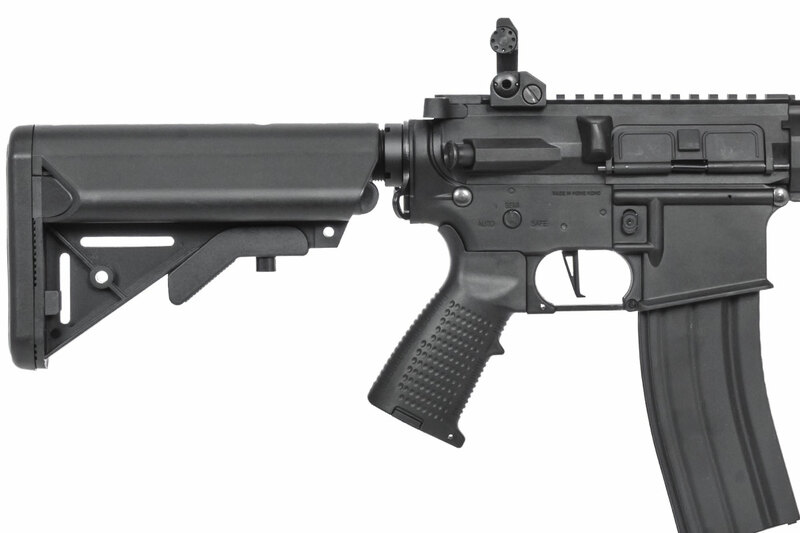 It also features an M-LOK rail system for a skeletonized version of a standard RIS M4 rail. 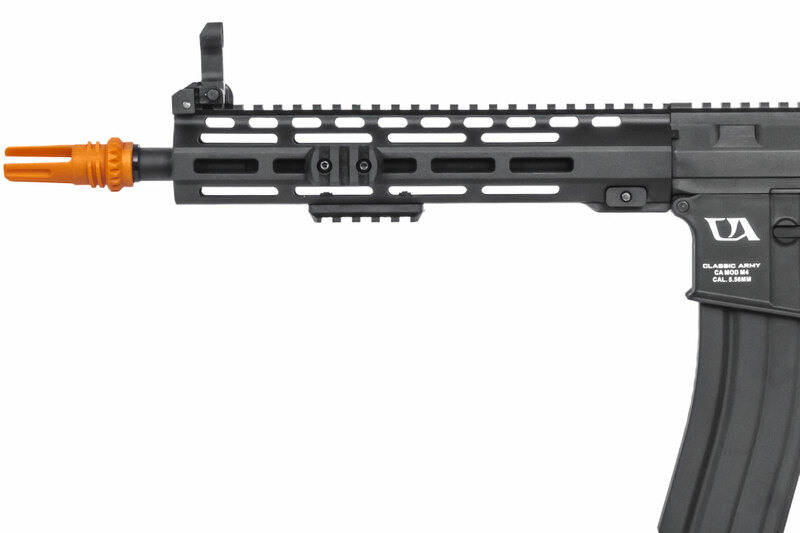 Rail segments can be attached to the rail, allowing for the attachments of accessories such as lights, lasers, bipods, or grips. 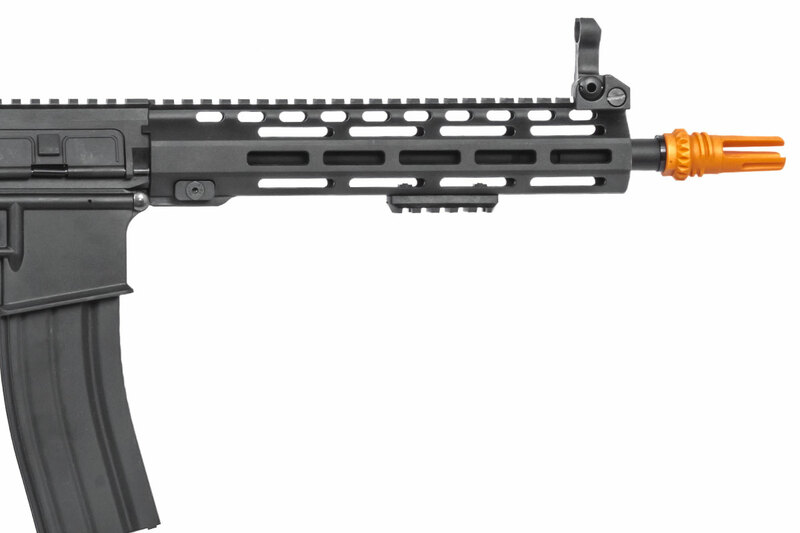 Front and rear sights are included, and can be flipped down, leaving you with plenty of rail space for you to mount an optic. 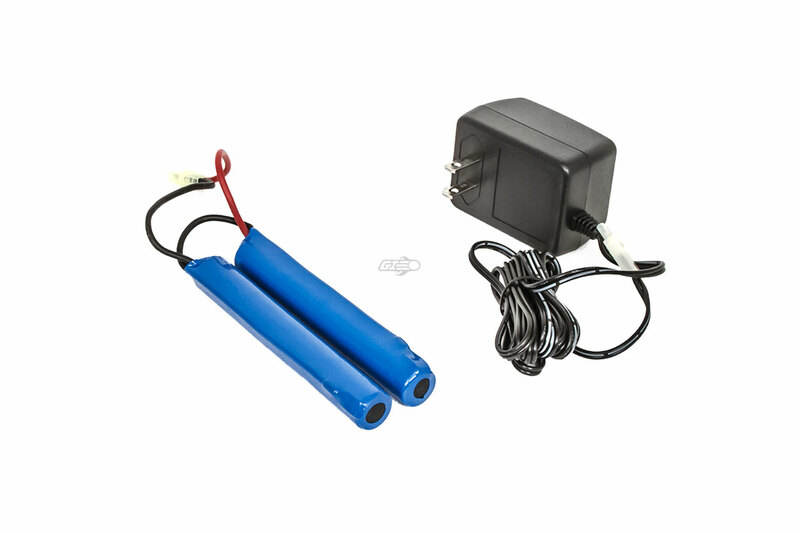 It has a quicker change spring system so that you can quickly and easily upgrade or downgrade your spring once you remove the gearbox from the receiver. It may be a bit too long, getting one with a bit less mAh would be best to be safe. Yes, you can use an 11.1v Lipo. 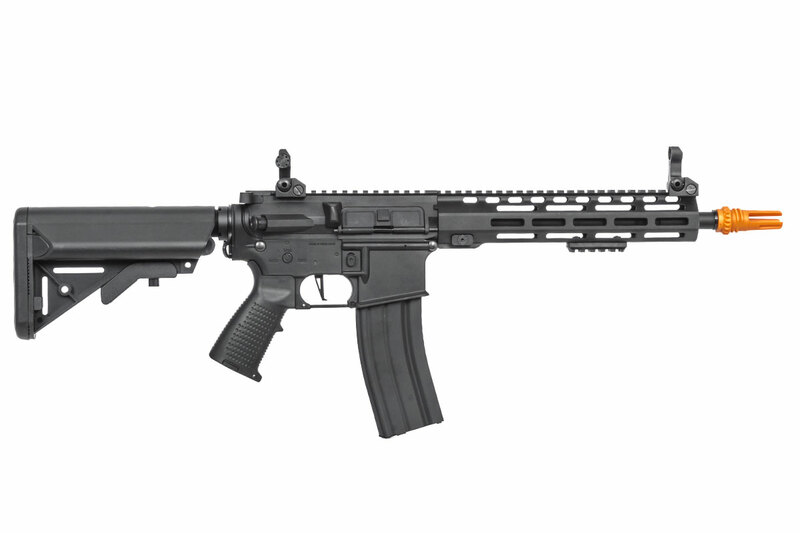 Is the buffer tube mil-spec or com-spec? Will it be able to fit after market stocks?